Little dancers love to hit the floor! Kids will warm up by practicing coordination and rhythm dancing along with easy steps to fun songs. 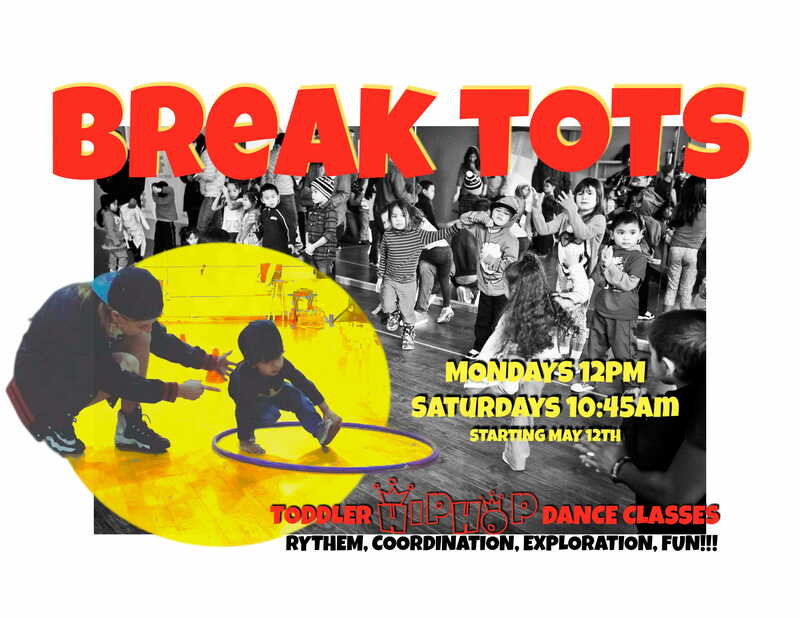 Then they will be guided through an energetic exploration breakdancing movements including simple toprock, footwork, spins and freezes. Dancing games are always a big hit at the end of class. This class is offered as a drop-in class with a max of 14 students per class.